Plot synopsis: A study of the Oedipus complex, as examined by both fiction and non-fiction writers, including Sophocles, Sigmund Freud and Eugene O'Neill. Review: I have remarked in other reviews about my occasional surprise at the adult ideas and themes explored in some OTR episodes, given the era in which they were produced and the commercial nature of the radio stations that broadcast them, and this one offers another opportunity for me to do so. An examination of the Oedipus complex (i.e. the sexual attraction of sons to mothers) this episode is remarkably bold in its discussion of such a taboo subject. It's a well-researched, well-presented episode, looking at dramatic and psycho-analytical accounts of young men who fall in love with their female parent. Still, comparing different writings that draw upon the Oedipus myth highlights a striking irony: that Oedipus himself isn't, in fact, the archetype of the complex named after him. Yes, he falls in love with, and even marries, his own mother - but crucially, when he does so he is unaware that she is his mother. When he discovers the truth, he is shocked and horrified by it; thus, he can't really be accused of suffering from 'perverse' or misguided desires, if he does not know his wife's real identity when he weds her. Regardless, while it would be difficult to describe this episode as 'enjoyable', it is thought-provoking. Plot synopsis: An examination of the changing approaches to parenting in America through the ages. Review: Many people's view of the 1950s is that it was a highly conservative period, especially in relation to the family, but this episode shows that matters were more complicated than this image suggests. 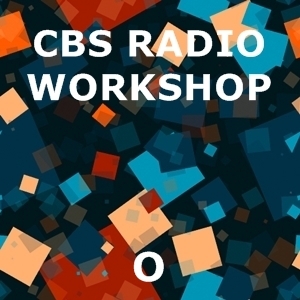 One of the CBS Radio Workshop's non-fiction productions, the episode is structured around the contrasting viewpoints of 'traditional' and 'progressive' approaches to child-rearing (though it seems in places clearly weighted in favour of the latter), demonstrating that Americans differed quite strongly about social and moral matters well before the 'counterculture' revolution of the 1960s. For modern listeners, it is also interesting to realize that even though we now live in a time in which parents are bombarded with - often conflicting - information about how children should be raised, the origins of the trend for giving out such advice date back many decades. In particular, it's notable how Dr. Spock (whose famous baby manual, The Common Sense Book of Baby and Child Care, was first published just a decade before this episode was broadcast) is lauded as a great authority, since he perhaps more than anyone else helped spawn the entire industry of parenting books that exists today. Yet what isn't questioned in the episode is whether such 'expert' advice may not cause more harm than good, fostering more anxiety and self-doubt among new parents than greater confidence. Regardless, the episode does a good job of making what could be quite a dry, academic subject lively and informative; for example, it offers interesting trivia such as the fact that, in colonial times, it would have been perfectly normal to give even small children rum to drink! Finally, the episode also shows that fears that children have become pampered and over-indulged long predate the rise of the Xbox generation, with the 'modern' toys and entertainments of the 1950s (which now seem very basic and harmless) seen then as potentially creating a culture of feckless delinquency. An instructive lesson, then, in the truth that every generation always seems to think that the next is 'going to dogs', a view which even a modicum of historical awareness, such as is presented in this episode, can help to correct.